- It is designed to create delicious water and it really is easy to use and just takes a few minutes of your day. It is Ideal for gym, home yoga, office, school, travel and outdoors. Have fun experiencing and making easy fresh fruit vitamin drink! - Pull out the infuser chamber. - Chop up pieces of fruits and add the ingredients into the infuser chamber. - Put the infuser chamber back and close the infuser bottle. - Let it sit in the refrigerator for at least 2 hours or more for best result. - Temperature range: 30 to 140°F. Hot liquid can scald user. - Secure lid before and after using. - Not microwave or oven safe. - Choking hazard - Small parts. - Not for children under age 5. Use with adult supervision only. 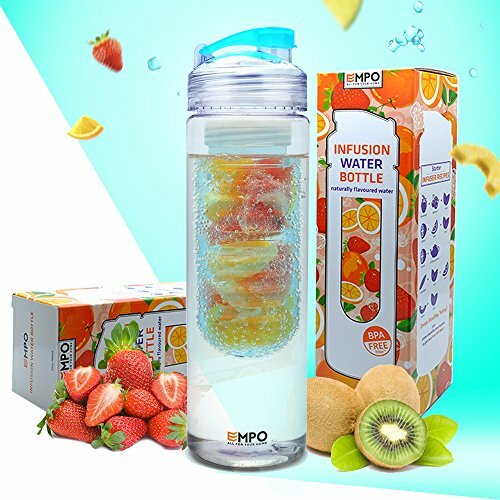 We're so confident that you will love your infuser bottle. Each one of the bottles comes with a LIFETIME WARRANTY! If you encounter any problem with this bottle, simply contact us and we will replace or refund it right away with no questions asked. â˜… LEAK PROOF & SHATTERPROOF - Made of durable Eastman Tritan Materials. 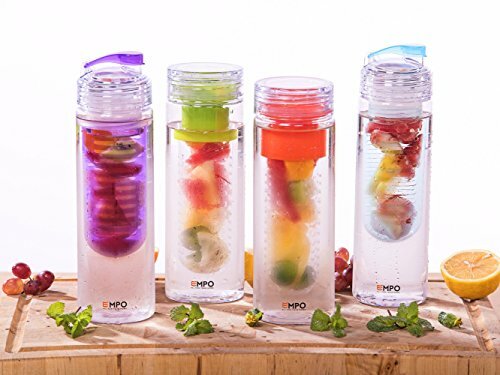 â˜… EASY TO USE & CLEAN - The bottle includes a removable fruit infuser and is top-rack dishwasher safe. 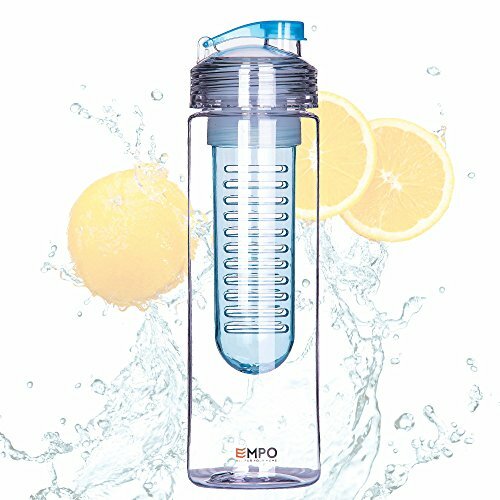 â˜… BIG CAPACITY, LONG INFUSER - The 780ml/27oz size is ideal for everyday use and fits perfectly in most car cup holder and bike bottle cages. 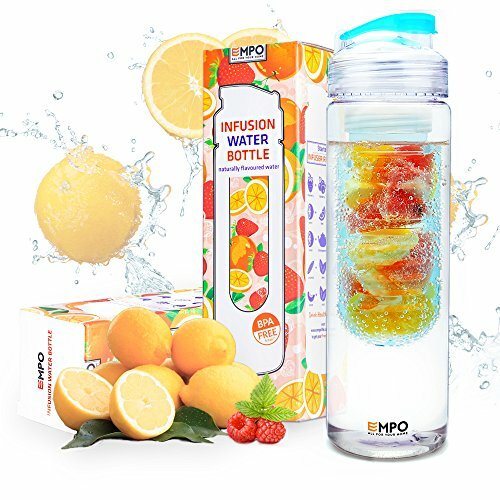 â˜… A MONEY-SAVING, HEALTHY LIFESTYLE - Have fun experiencing and creating your own naturally flavored fruit infused water. â˜… LIFETIME WARRANTY - EMPOÂ® Unconditional Lifetime Warranty. Please contact us with any question or concern. We are here to guarantee you 100% satisfaction. Black Zork Closures - 30 ct.